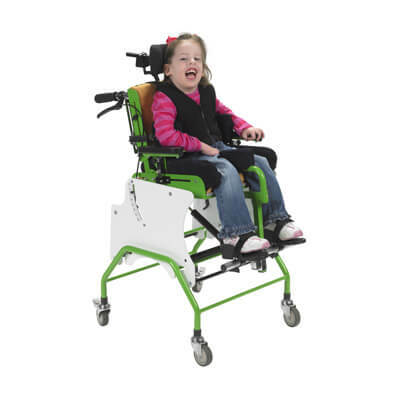 This Wheeled Hi Base for the MSS Tilt & Recline gives the seating system more versatility. The caster wheels provide the ability to move the chair around without having to lift it. With the additional height given to the chair by the raised base, the chair is heightened to be used on a normal tabletop. Seat to Floor Height (with Chair mounted): 24"